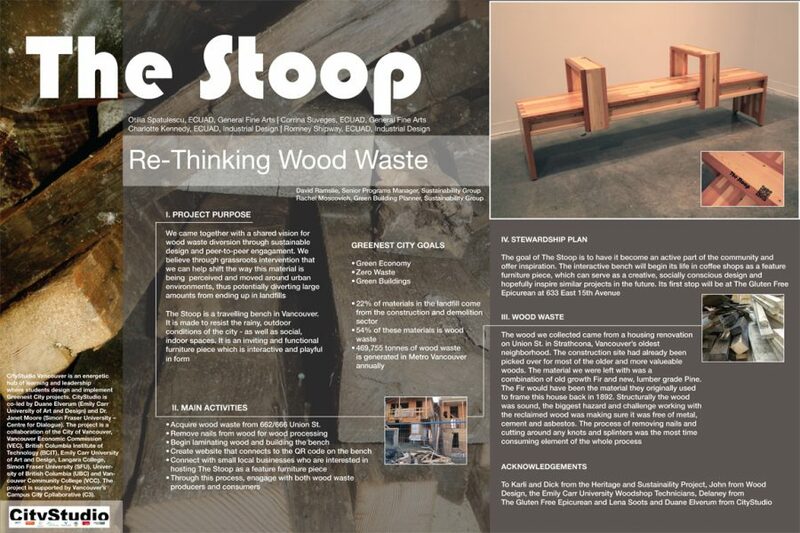 Furniture design and research for Vancouver's deconstruction wood waste to meet the 2015 landfill ban. Our project was aimed to address Zero Waste, Green Economy and Green Building targets in the Greenest City 2020 Action Plan. 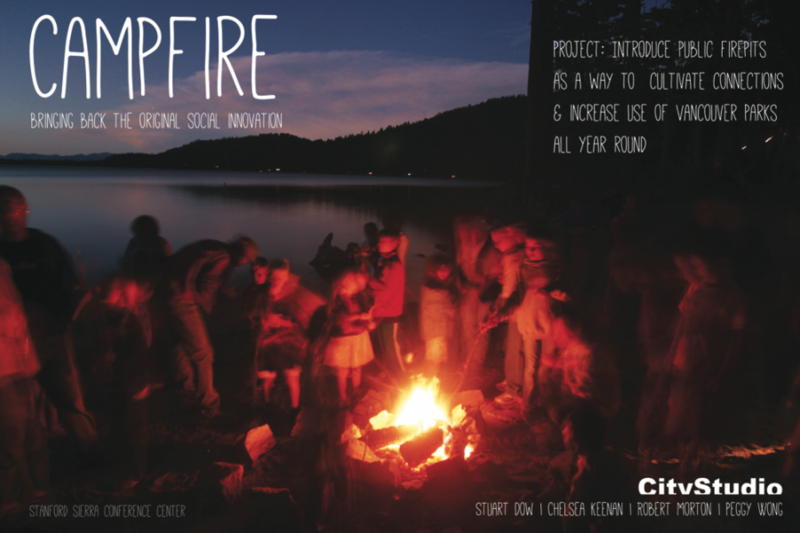 After talking with David Ramslie and Rachel Moscovich about the pending 2015 Wood Waste ban and the viability of a potential deconstruction hub, we decided to investigate methods to utilize wood waste in ways that increase its value. 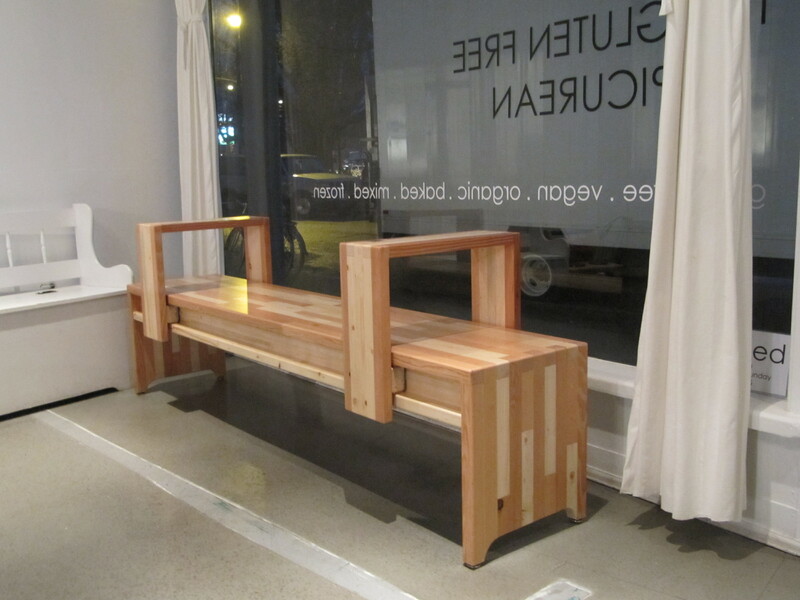 Through design, we have created a high end sleek modern bench that has potential to viably re-enter the economic stream. 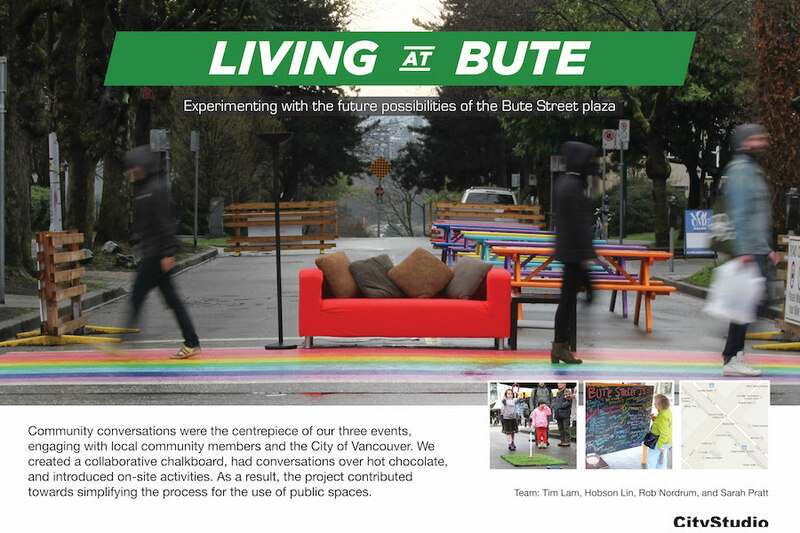 By naming our bench The Stoop, we wanted to relate it to construction and deconstruction of homes while playing with the idea of a place where public meets the private. Our bench will travel to different businesses that offer a space for conversation with the intent to link people to our process via a QR code and inspire other artists, designers and builders to tap into this valuable resource therefore creating demand for a deconstruction hub. As of the end of the term, The Stoop is in the window of The Gluten Free Epicurean waiting to be activated by customers. We are in conversation with other business owners who might be interested in hosting our bench for a period of time. Not only does the bench offer seating and a service for small business owners but it also tells its own story through a QR code. The laser etched code on the table tops allow people to be directed to our website through their smart phone that tells the story of our project and how the bench came to fruition. By giving the history of the wood, metrics about wood waste and an example of high end design, we hope to inspire future designers, artists and builders to create a demand for access to reclaimed wood.